The third edition of MEUT took place in Trento from November 22nd to November 24th. Two girls who took part and organized the event tell us what this beautiful experience meant for them. It’s been a few years since MEUs started to spread around European and not European cities. But what does this acronym mean? MEU stands for Model European Union. 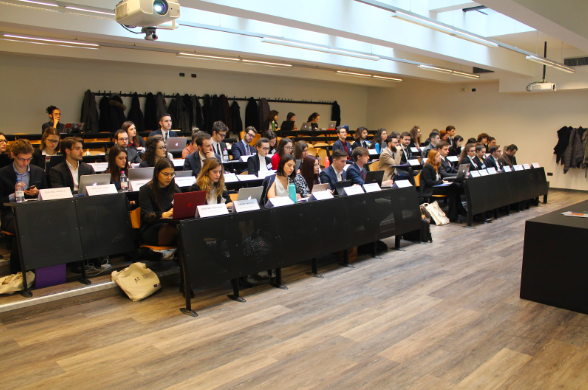 Similarly to its distant cousin MUN (Model United Nations), it is a simulation of the legislative process of the most important EU institutions: the European Parliament and the Council of the European Union. From November 22nd to November 24th 2018, Model European Union Trento Association gave birth to the third edition of MEUT, hold in the Sociology and Social research faculty of the University of Trento in collaboration with the excellence center Jean Monnet. We, Ester and Elisa, have seen the birth of the association in summer 2015 and we organized the first simulation in Trento in November of the following year, held in Italian. It has been a long and tortuous way, but in the end we successfully pulled off the third edition. \ We were just a little group of guys with no experience about simulations but also thanks to some really patient and competent professors, especially professor Marco Brunazzo, the first edition was just great. However, after this big success we knew we wanted something more. Of course, Italian is our mother tongue, but we wanted to be international: this is the reason why we switched to English for the second edition. It is not easy at all to force a group of mostly Italian students to speak a different language, yet after some warnings and solicitations, we actually realized they were starting to talk in English even outside the simulation. Thanks to this project hold in the UniT, many young people got to know BETA Italy and after this great experience they decided to become part of our association. For the third edition we decided to keep using English as the official language and thus we continued with the internationalization we began in November 2017. During this intense weekend the participants discussed relevant issues for the European Commission in this period of economic uncertainty and heated debate about climate change: the Security of gas supply regulation and the Directive on the fight against fraud to the Union’s financial interests. This project allowed the small group of students that form part of the association to challenge themselves in different fields, cooperate all together helping each other to make a hundred university students to engage in political negotiation and legislative drafting of the EU. To organize such kind of projects is not an easy task for sure but thanks to a considerable willpower and a strong spirit of cooperation, even a little bunch of students manages to do a lot and give shape to such big events. Indeed, the reason why we organizers feel so satisfied at the end of these three days is to see how every participant identified him or herself in his/her character, how they all got involved and took an active part in the project. Because the ultimate goal of these conferences is not the one of being the best or making more amendments pass; it is to learn something more about how the Union institutions works and to meet friends you can share the European values with. And if at the end of the simulation we see the dreaming eyes of young people waiting for the next occasion to take part in such kind of projects, than all of the sleepless nights spent organizing everything will be worth it. 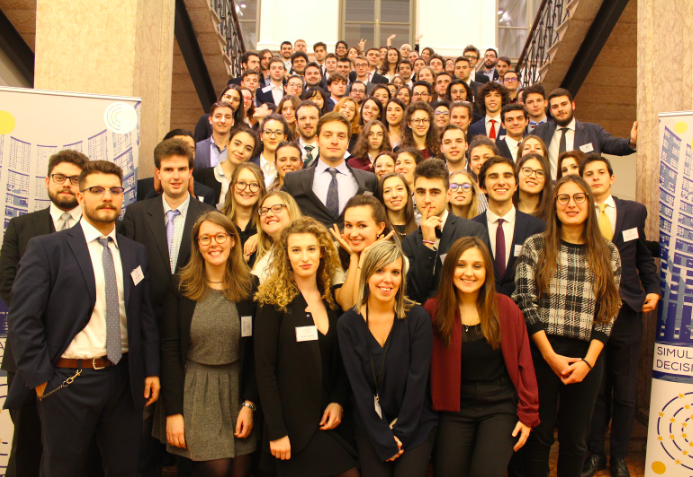 See how the students from Trento are often well represented in MEUs around Europe makes us proud and makes all those Skype calls ended at 3 a.m. meaningful. Still, after a few days, when we flip through the simulation newspaper, “MEUT Tribune”, a smile appears on our faces while we remember the emphasis and pathos of some those precious moments. Because even if we were not the main characters, we identified with every role, in every discussion or spat between factions and in every gag. Indeed, maybe this is only a simulation and some positions are interpreted in a grotesque way, but are you sure some of the moments we lived as students in these university rooms did not happen also in parliamentary chambers?